At any time of day or night there are countless broadcasters on Mixlr making amazing shows for your listening pleasure. 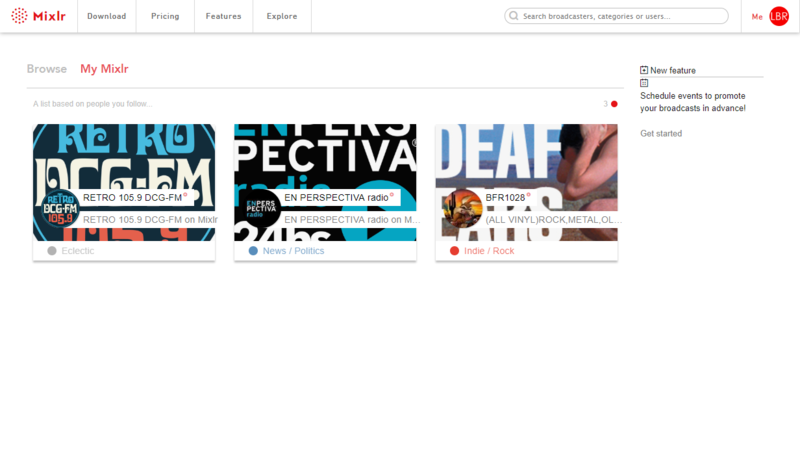 In this article we'll show you how you can track down the best content to suit your tastes. 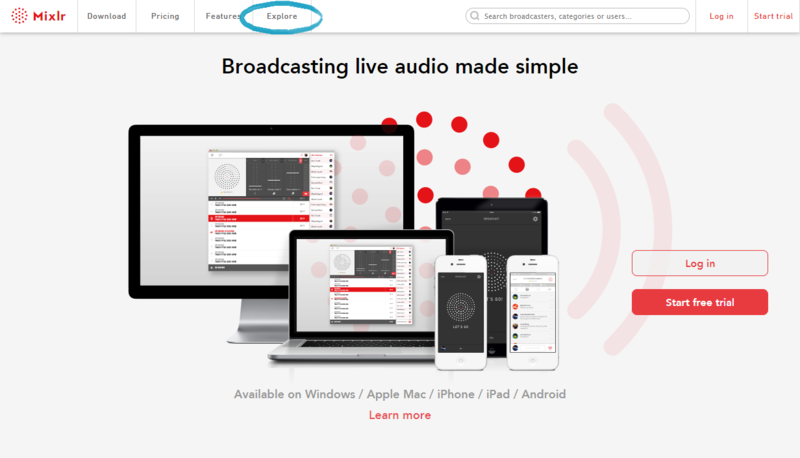 When you access mixlr.com, whether you are logged in to a Mixlr account or not you'll be able to click the 'Explore' tab. This is your first port of call for finding new shows - click here to see a list of live broadcasts. This will show you the most popular broadcasts right now. 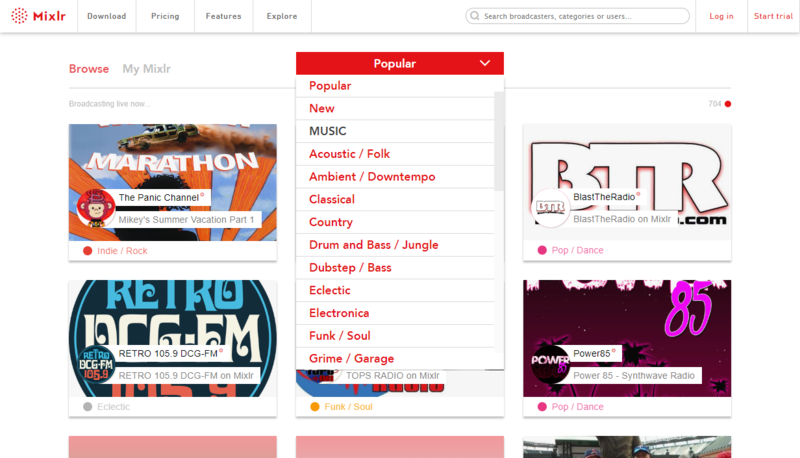 To browse by category, click the drop down where 'Popular' is displayed and you'll see a list of other sections to choose. 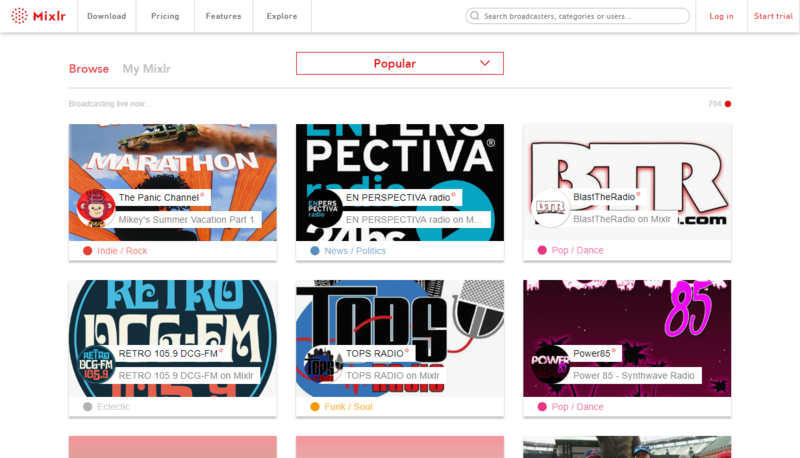 If you have a Mixlr account, log in and you'll be able to browse in the My Mixlr section. TIP: if you click this section and you aren't logged in you'll be prompted to enter your username and password. This section will show you any broadcasters who you are following who are currently broadcasting live. TIP: you can follow any broadcaster by visiting their livepage and clicking 'FOLLOW'. 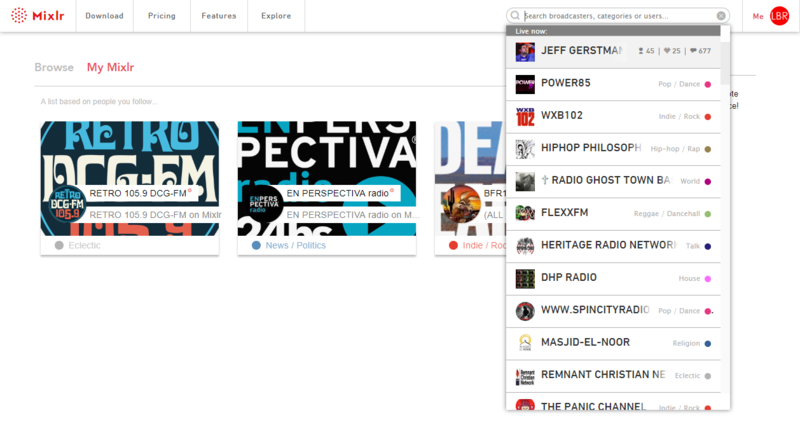 You can also search for broadcasters via the search bar in the top right of the webpage. Enter the broadcaster name if you know it, or you can enter the genre to see who's live right now.